With a concealed wall mount and half-round fascia finished in silver leaf, dressed with alternating rows of two and three amber and clear crystal coffin drops that will create a wonderful sparkle. The open top and bottom will allow light to spread up and down the wall for a secondary lighting source. 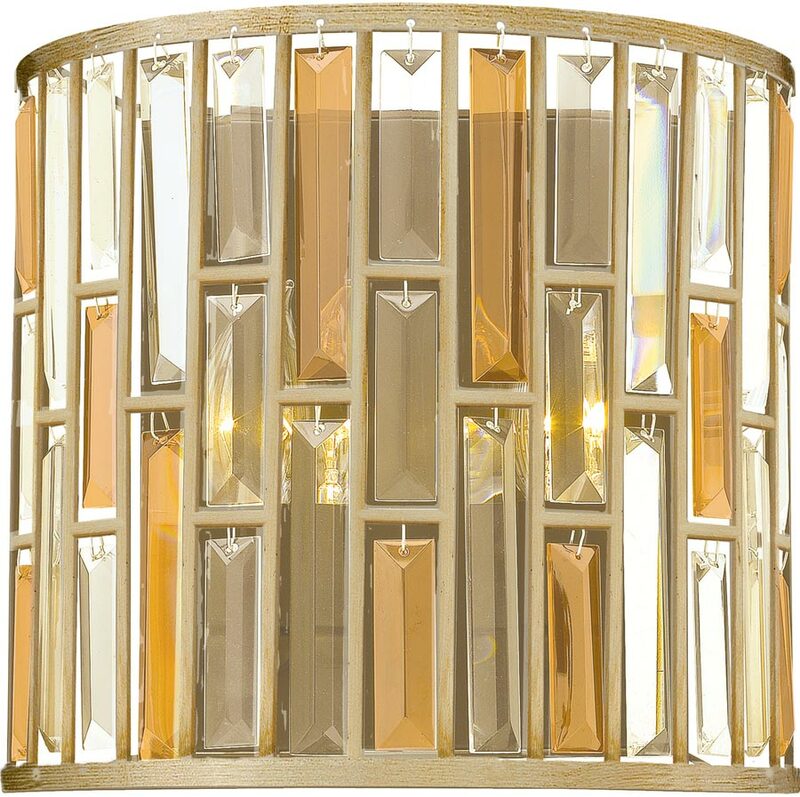 A wonderful half drum wall light that will blend beautifully in most settings. Crystal has timeless appeal and this fitting will lift any room with its delicate intricate design. Choosing a contemporary crystal wall light fitting doesn’t get easier than this.